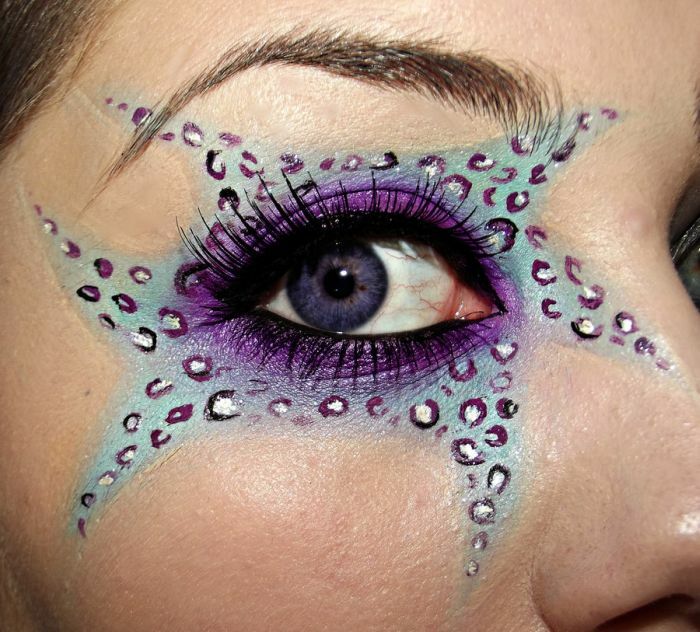 Eyes are the most beautiful part on our face, the right makeup and healthy eyes add glimmer to our beauty. 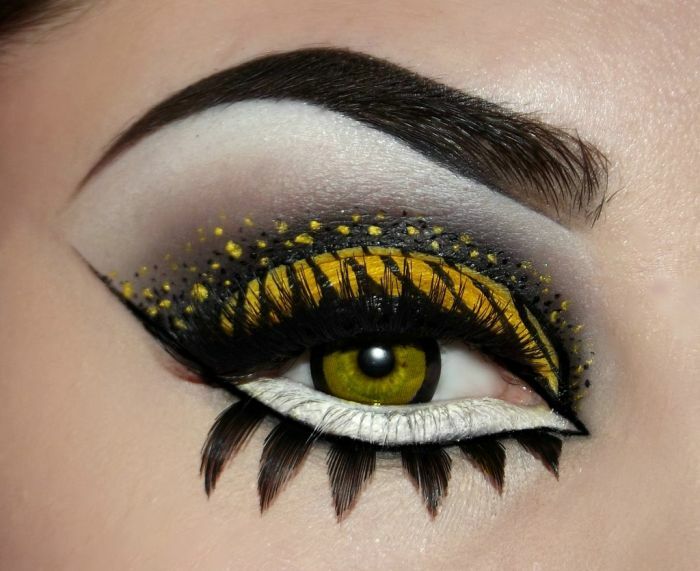 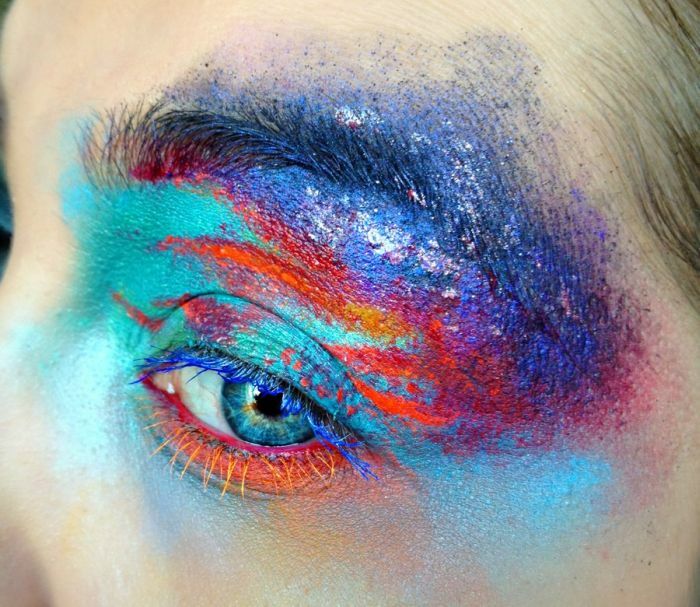 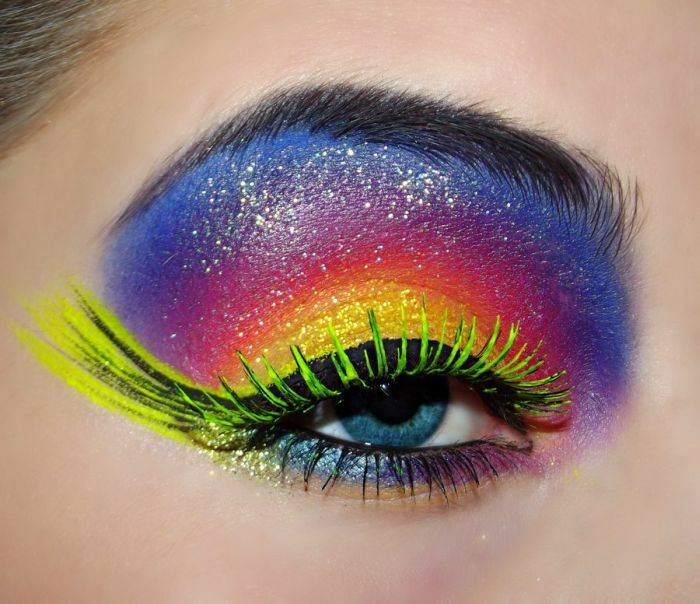 Here are some colorful eye shadows ideas for your eyes. 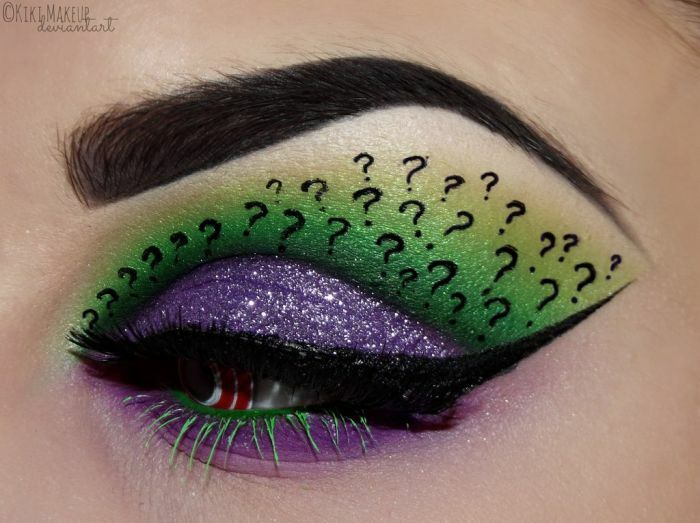 These various eye shadows can be tried at home. 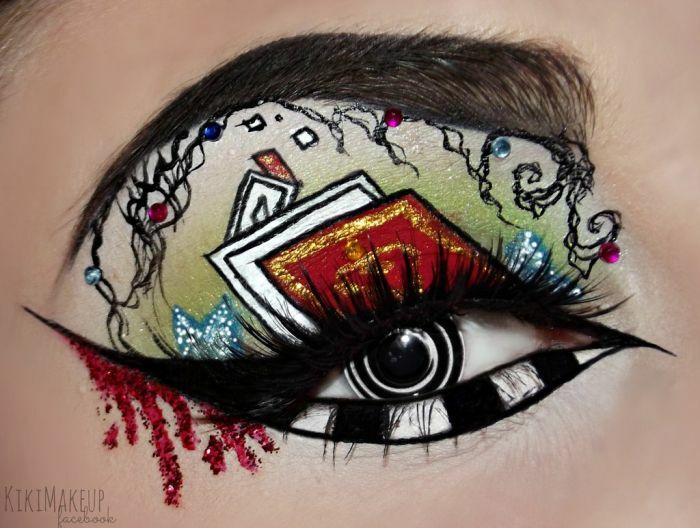 Here is a red and black eye shadow, much similar to a joker in playing cards. 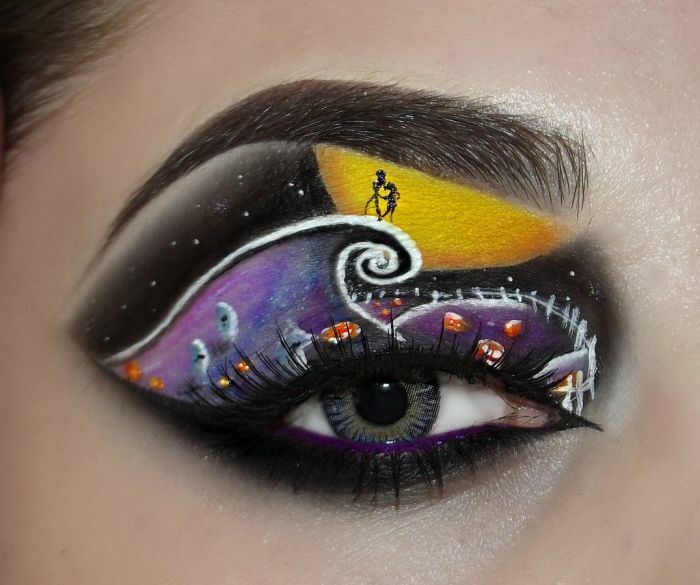 A scenery in black and white with dark background. 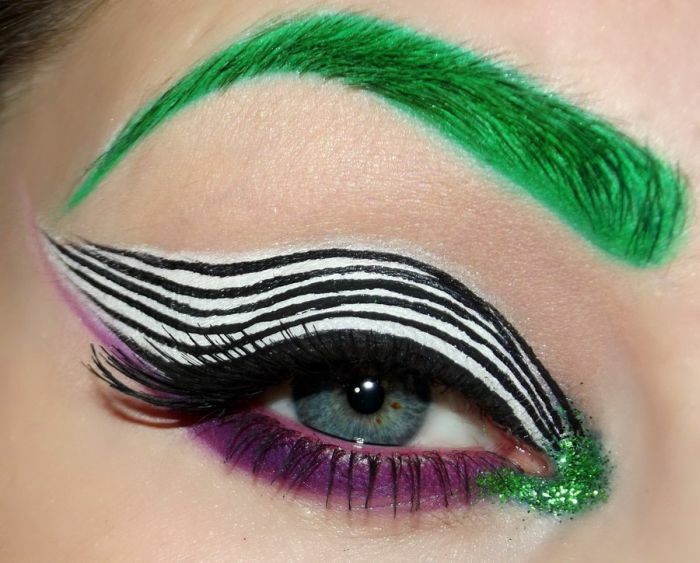 showing shades of green on eye brow and black and white strips over the eye lashes. 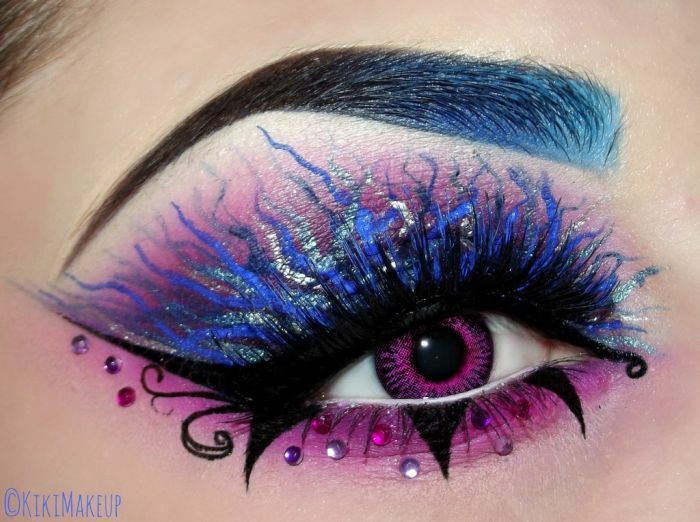 Shades of blue, dark, light around the eyes. 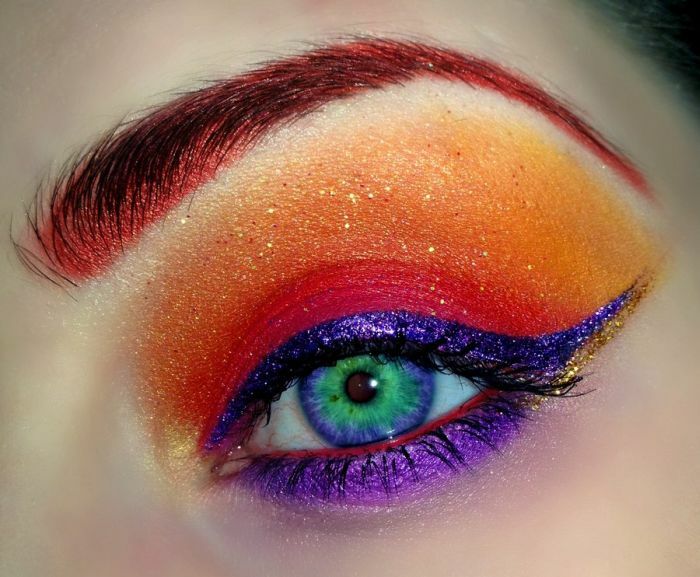 This is a soothing eye makeup where you have color of red and orange over the eyes while a dark shade of blue around it. 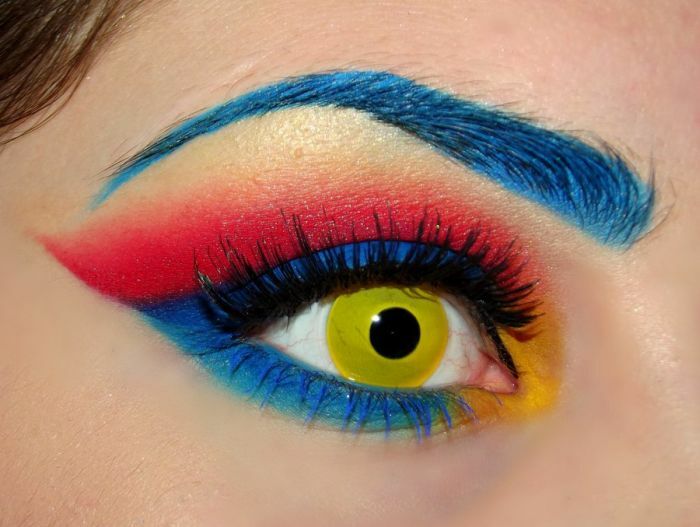 This shade is much like parrots color, green on the eye brows and yellow over eyes, with dark red and blue. 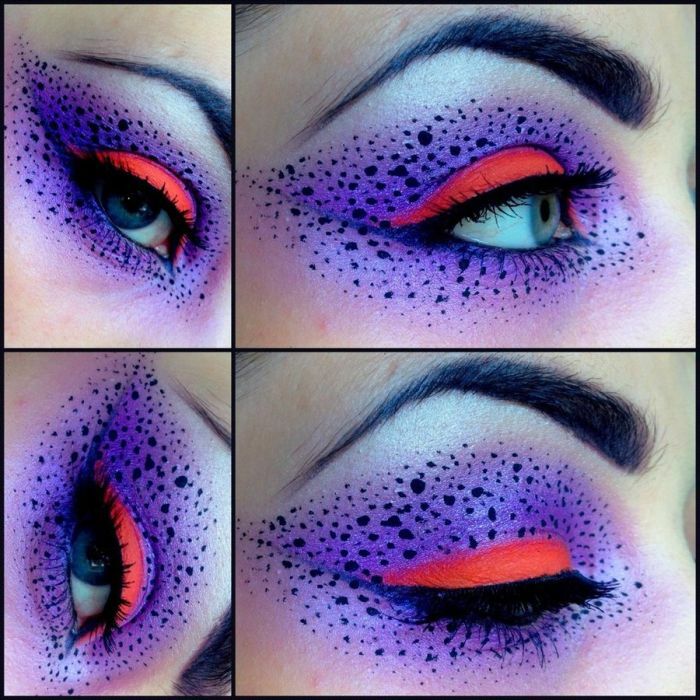 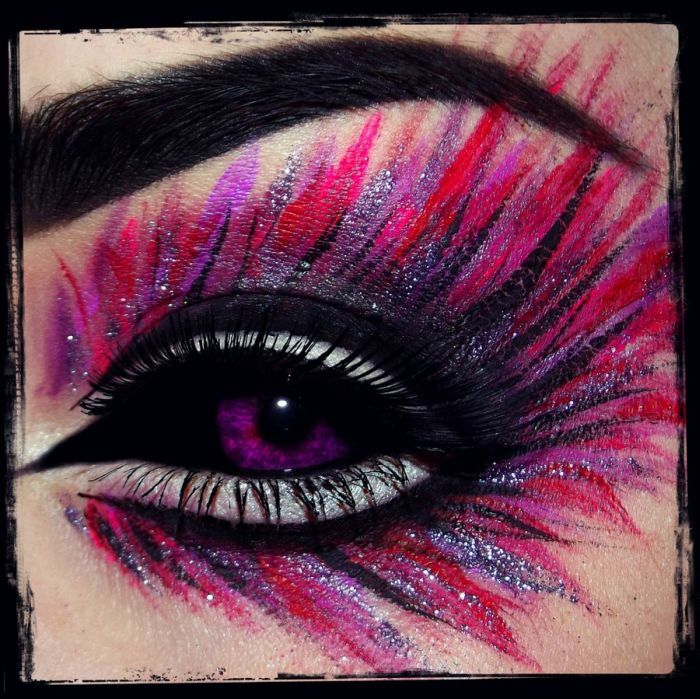 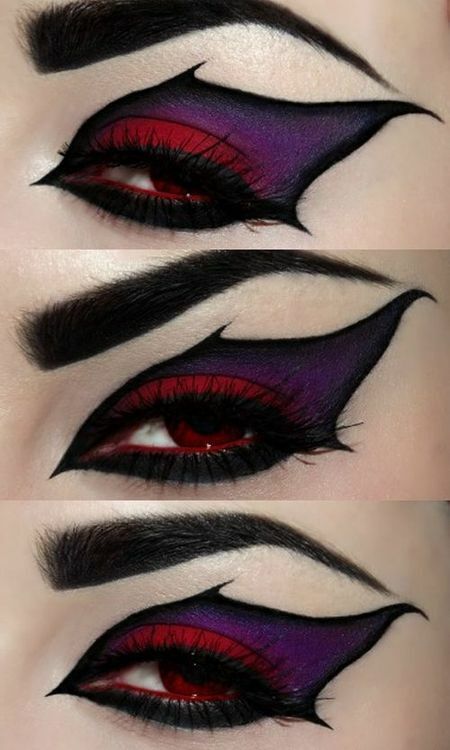 Red and purple shade eye makeup. 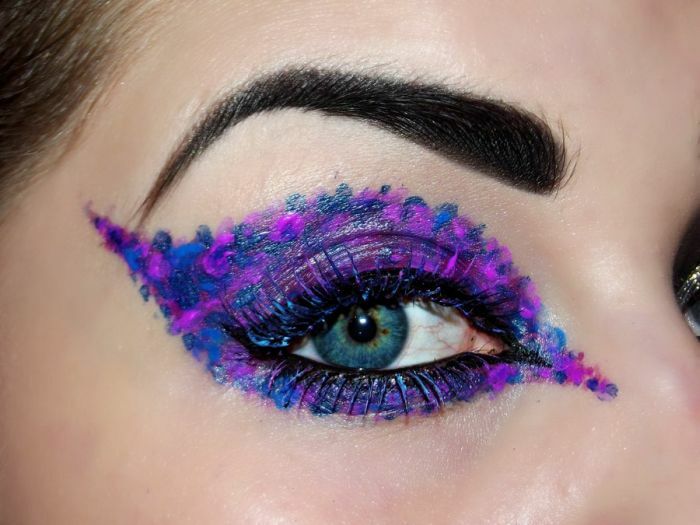 Blue and magenta shades of eye makeup. 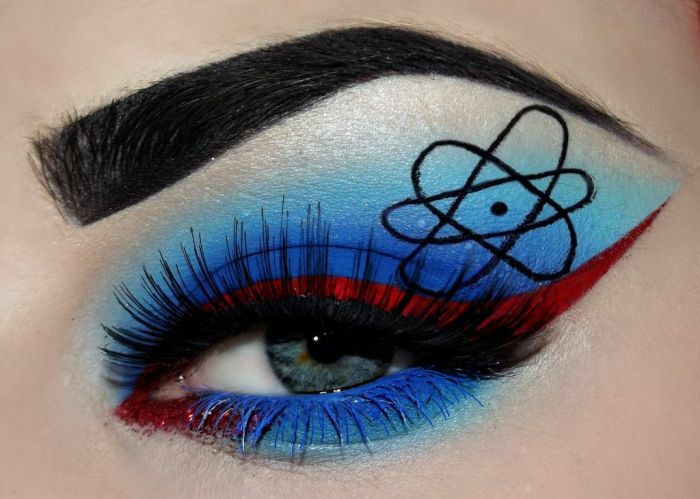 Eye shadow with light blue color much like pluto. 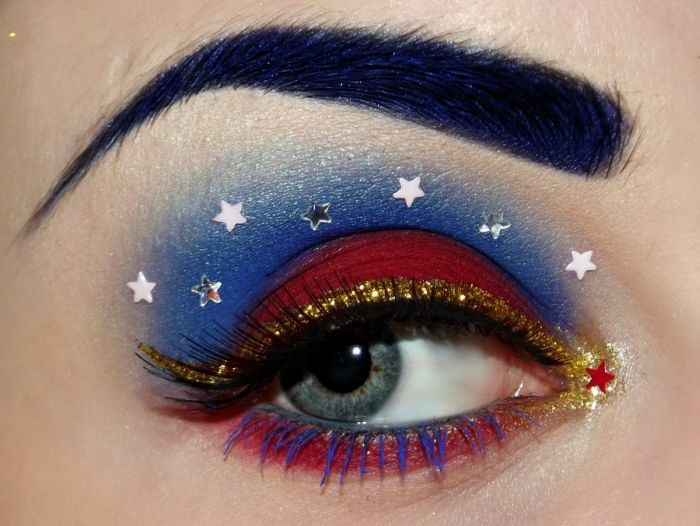 Wonder woman style blue and red makeup. 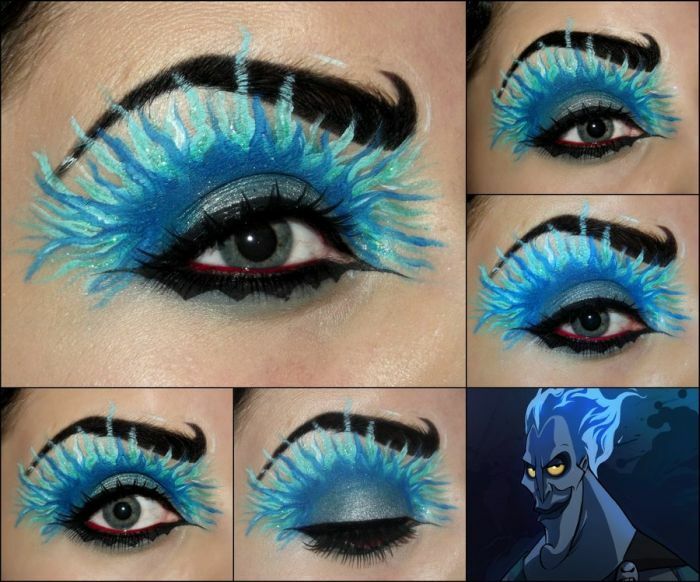 Light blue shade around eyes and dark black spots with a red line. 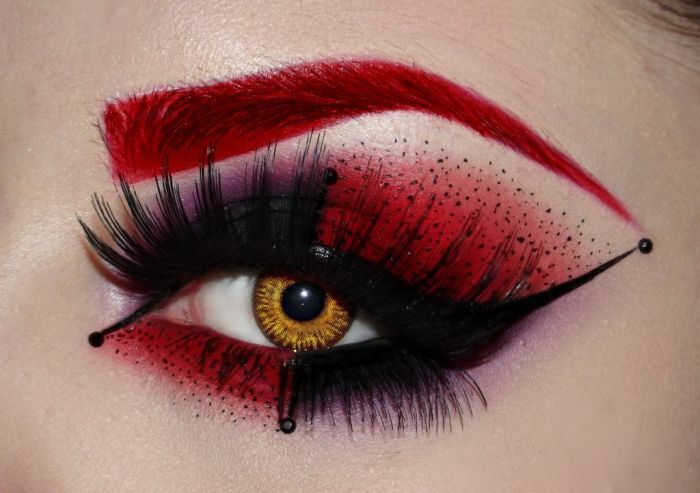 Lines of light and dark shades around eyes, much like feathers. 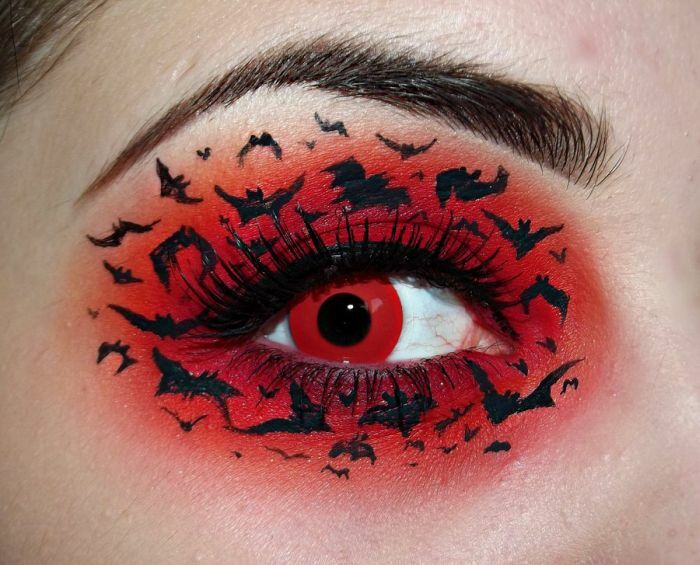 This makeup will be best for Halloween, red shade around eyes with bats.